Choosing the right luggage for your trip can make all the difference. You may think that you need to buy the biggest, bulkiest suitcase or backpack possible to fit your entire wardrobe into, but in reality many of those clothes will never be worn and they will just sit there taking up space. You might not realise it now, but when you are travelling (especially if it a long trip and you have to travel by public transport) the smaller your luggage is the better. 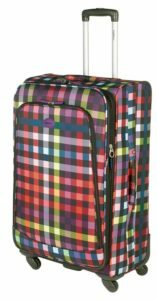 The type of luggage that you need is dependent on the type of trip you are taking, because one type of luggage may be perfect for one sort of trip but horrifically annoying for another. It also depends on what you personally feel comfortable with. Some people absolutely despise backpacks whilst others swear by them and the same goes for suitcases and other types of bags. No matter what type of travelling you’re about to undertake there is bound to be a suitcase or bag that will be comfortable, easy to transport and will fit everything you need. Whether you’re embarking on a round the world solo adventure, going on a beach holiday with your friends or just making going on a quick getaway for the weekend there is something out there for you, so read on to find out more about picking the best luggage for your trip! Less is best. It is a good idea to buy something a bit smaller than you think you need as it encourages you to pack less and it will be more comfortable/easier to carry in the long run. Don’t get carried away and bring a tiny solo bag for a month long trip, but avoid buying a huge 4 ft suitcase for a weekend getaway. Don’t spend too much: It shouldn’t come as a surprise that checked luggage can be broken, damaged or lost. Whilst it is fairly unlikely (especially if your luggage is durable) it’s not a good idea to spend a fortune on a designer suitcase. Don’t buy something so cheap it’ll fall apart in seconds, but don’t buy something so expensive that it breaks the bank. Aim for something in the middle. Weight/height limits: If you are going to be catching a plane during your trip you will need to check the airline luggage restrictions to ensure there are no issues at the airport. Budget airlines are likely to charge for checked luggage and most airlines will have height and weight restrictions for both checked and carry-on luggage. Whilst the restrictions for checked luggage are likely to be pretty reasonable you should still make sure that any bag/suitcase you are buying meets these requirements before you buy it. It’s a good sign if a product comes with a warranty because it shows that the manufacturers don’t assume the product is going to fall to pieces within a few weeks. It also ensures you can get a replacement if the luggage isn’t as durable as advertised. Some people seem to think you’re ‘not a real traveller’ if you don’t have a backpack, but it really depends on what you feel comfortable with and how you are travelling. Backpacks are really handy if you have to handle different types of terrain that may be problematic for a suitcase (because it would get stuck or be hard to wheel), if you’re planning on catching multiple types of public transport, if you have to walk up or down multiple flights of stairs, and/or if you’re travelling for a long period of time. Suitcases may not require you to carry their weight, but they get annoying very quickly when you have to pick them. Whilst ‘real travellers’ mean very different things to different people, it’s a simple truth that backpacks are generally easier and more comfortable for longer trips. Backpacks are carried (as is kind of obvious) on your back and that means you don’t have to panic when it comes to picking it up or putting it somewhere because it’s already on your person. The downside to this is that you need to carry the backpacks weight and, if you end up buying a particularly big backpack, this could lead to muscle strain and a lot of unpleasantness. Backpacks can be a nightmare, but if you follow these tips for choosing the best backpack you might just fall in love with them. Buy a backpack which fits you. If you’re on the shorter side try to find a smaller backpack and check the measurements of the arms and the bag itself to make sure it’s something you’re comfortable with. An ill-fitting backpack won’t distribute the weight properly and could lead to back pain and difficulty balancing. Ergonomic: You may spend a lot of time carrying your bag around, so it’s important that it is comfortable. Things like padded shoulder, a lumbar-shaped design and a space between the bag and your back to allow your back to breath will make all the difference. Smaller is normally better. Even if you’re travelling for a year non-stop (actually, especially if you’re travelling for a year non-stop) you’ll find that you won’t use as much as you think. A smaller bag will not only be easier and more comfortable to carry but it will also encourage you to pack less! Lockable zips: There are many occasions, if you’re staying in a hostel with small lockers or you need to check your bag at the airport for example, where you may want to lock your backpack to prevent anything being lost or stolen. If you’re travelling to the United States it’s always a good idea to ensure you have TSA locks so American security services can check your bag without breaking the lock. Some bags may also come with their own locks to save you the hassle of having to buy one separately. If you’re going hiking you may want to find something with straps and/or hooks for your poles, tent and other items. 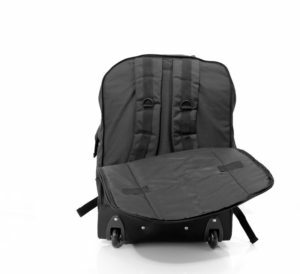 Multi-compartments: The downside to travelling with a backpack is that it can be really difficult to find anything. 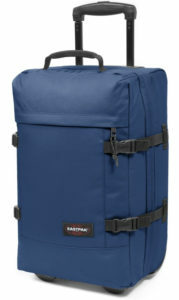 Unlike suitcases, backpacks have the nasty habit of pushing all your important items to the bottom so you have to take everything out any time you need something. Some backpacks come with inner and outer compartments which you can use to separate your items and they can save you a lot of time and stress. Water-resistant. You can’t control the weather and there is a fair chance that at some point you’ll have to try and find your hotel/hostel/Airbnb in the rain or your bag will be put down on a wet surface. It’s a good idea to make sure your backpack is made out of material which is at least semi waterproof to protect all your stuff from getting wet. Suitcases may not be a great choice for hiking through tough terrain, but they are an easy, attractive and popular option. There are a lot of different suitcases out there, so read through this list to see what appeals to you. Size: The ideal size of your suitcase depends on the type of trip you’re taking. There’s no point lugging some huge suitcase around for a weekend trip, but a tiny carry-on suitcase may be problematic if you want to take more than one bikini with you. Be realistic about the length of your trip and choose your size accordingly, plus also consider whether you want to check your luggage or use it as carry on. The height restrictions of carry-on suitcases will include the wheels, so make sure it can actually be taken on the plane beforehand. Two wheels. Roller suitcases have their wheels in a fixed position and are tilted when moved. These suitcases can put a strain on your shoulder after a while as they do require a degree of effort to pull, but on the upside these suitcases tend to be cheaper and their wheels are more likely to last because there are less ways to get stuck! Four wheels. 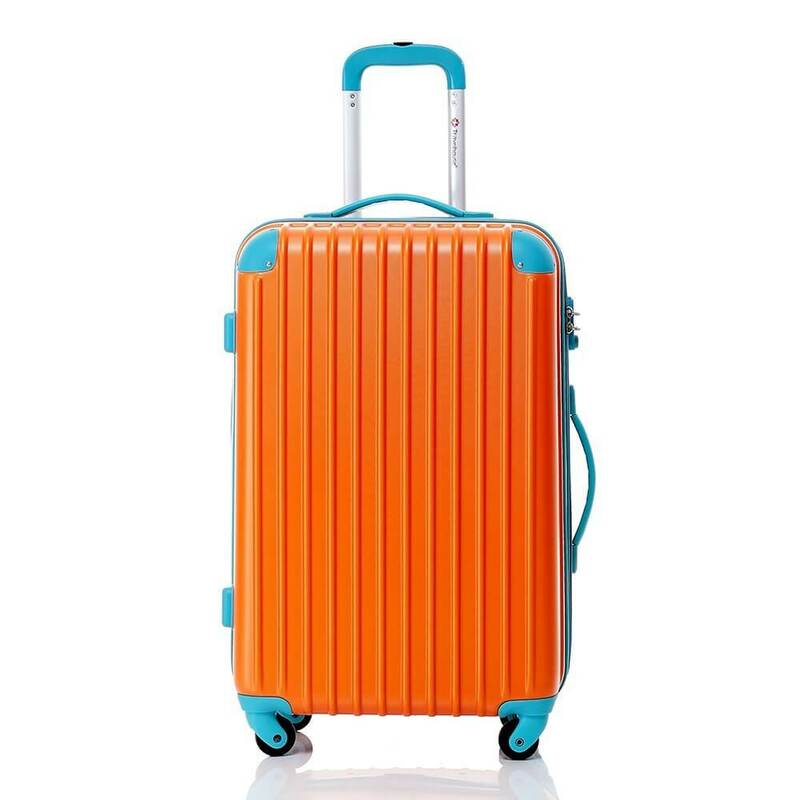 Spinner suitcases can move in all directions (360 degrees) so you can manoeuvre more easily. These suitcases put less strain on your arms and can move in more directions so they won’t have to be lifted as much, but the downside is that the wheels are more likely to get stuck on a spinner. There are good and bad points for both types of suitcase, so the best choice for you depends on your personal preferences and priorities. Soft shell. These suitcases tend to take up less space than hard shell options because their body simply takes up less space on its own and you can often fit more in because, unlike hard shell suitcases, they can expand to accommodate more items. However, soft shell suitcases are less durable and can rip easily and they are not waterproof. If you opt for a soft shell try to find high denier, scuff resistant and durable designs with PVC backing on the inside. Also try to find a suitcase with an expandable case and outside pockets. Hard shell. These suitcases are more heavy duty, less likely to break, they tend to be waterproof and you can even use them as a seat! However they are not as flexible as soft shell suitcases, they are less flexible, they tend to be larger and may be difficult to store and the cases can scratch easily. 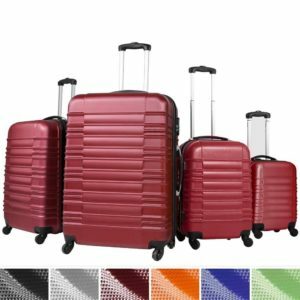 Hard shell suitcases may be made out of polypropylene, which is extremely durable but rather heavy, or ABS, which is also very strong and has a nice shine to it. Both options come with their share of advantages and disadvantages, so in order to buy the best suitcase for you think about which features are more important to you personally and always read customer reviews before making a purchase. Most suitcases will come with an adjustable handle, but some may not. It’s a good idea to make sure your suitcase does come with an adjustable handle so you can set it to a position that feels comfortable, so multiple people can adjust the handle to a place that is easy for them to push, and so you can push the handle down when needs be. Side handles. 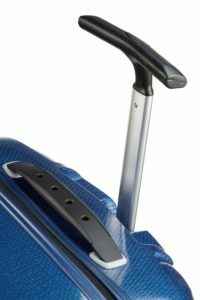 Side handles are a life saver if you have to carry your suitcase down the stairs or lift it onto a luggage rack. It’s easier to access your belongings quickly in a suitcase than in a backpack, but it still helps to have compartments for your underwear, toiletries and other items. 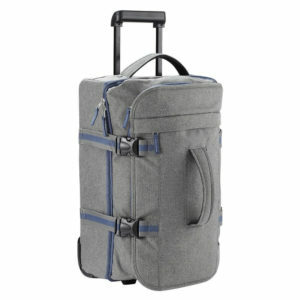 Some suitcases will come with inside mesh compartments where you can store your delicates or toiletries. You may want to look for a suitcase that comes with external pockets which you can use to store additional items and valuables. The type of design that appeals to you depends on personal taste, but it is a good idea to find something a little unique, not just because you may have to spend a long time with your suitcase so it helps if you like the look of it but also so you can recognise it on the luggage carousal. If you do opt for a nondescript design consider tying a ribbon or other item to the handle or put a sticker on the suitcase so it’s easier to recognise. It will also make it easier to identify if your luggage gets lost. You don’t want a suitcase that just falls apart. Whilst it can be hard to tell what will last and what won’t you can normally get an idea by reading reviews of the same item so you can see what other people’s experiences were. You normally get what you pay for, but within reason. A holdall is a little like a suitcase, but they are very lightweight and tend to come without the internal frame. Holdalls are flexible, they tend to fit a lot in and they tend to be cheap, but they may be less durable and liable for ripping. Look for models with durable materials, a shoulder strap and an adjustable handle if you want to buy a holdall. The luggage that is best for you depends on the type of trip you are taking, the kind of things you want to bring with you, and your personal preferences. Whatever you do, don’t buy the cheapest bulkiest option you can find because it will lead to disappointment and more money spent in the long run. Invest in something that will last, will be comfortable and make sure it is something you can actually carry for an extended period of time. Good luck and safe travels!